Obododimma Oha is a poet, editor, translator and university lecturer. He specialises in Semiotics, Stylistics, and Creative Writing in the Department of English at the University of Ibadan, Nigeria. He writes poems in English and Igbo. These have been widely published: for example, in Postcolonial Text, Portal, African Writing Online, Sentinel Poetry Online, ekleksographia, FoggedClarity, Shadowtrain, Agenda and Otoliths. He has also been featured as a guest poet in Envoi (Gwynedd, UK, 2009) and his work has been anthologised in For Ken, For Nigeria (Lagos, 1996) and in Voices from the Fringe (Lagos, 1988). With Anny Ballardini, he edited While the He/art Pants (Fiera Lingue, Italy), an online anthology of poems on the 2008 American elections. Some of his online poems are archived at http://udude.wordpress.com/some-poems-online/. His writings are also available on his blogs: http://x-pensiverrors.blogspot.com/, http://obododimma.livejournal.com/, http://www.edutitra.blogspot.com/, http://www.obododimma-oha.blogspot.com/ and http://udude.worpress.com/ . As a translator between English and Igbo, he has worked as consultant for Web-Lingo.com, South Africa. He has also collaborated with Professors Akujuobi Nwachukwu, Monday Mbah and Angela Uwalaka in the compilation of an Igbo-English/English-Igbo dictionary (forthcoming, University Press, Ibadan). 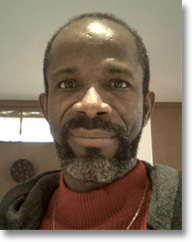 Some of his scholarly papers and essays are available at http://udude.wordpress.com/publications/.